With the Instrumentation text, you'll take a closer look at how to present flight and navigation data to your crew. With this text, you'll take a closer look at how to present flight and navigation data to your crew. 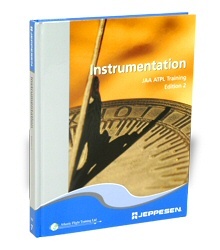 You must always be alert and ready to take control of your airplane; therefore, it's essential that you have a thorough understanding of aircraft instrumentation.This volume provides an in-depth knowledge of the operating principles behind, and the value of, all the most common aircraft instrumentation systems.